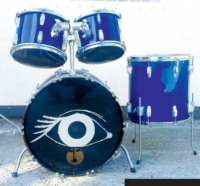 Our friends from DrumStore, one of the best drum shops in Poland have recently sent us a package. We always get something cool from them, and so it was this time. We got three big boxes full of drum gear. 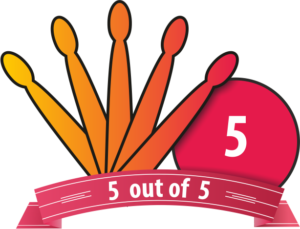 We have tested and reviewed it all. Now we want to share some of our thoughts with you. 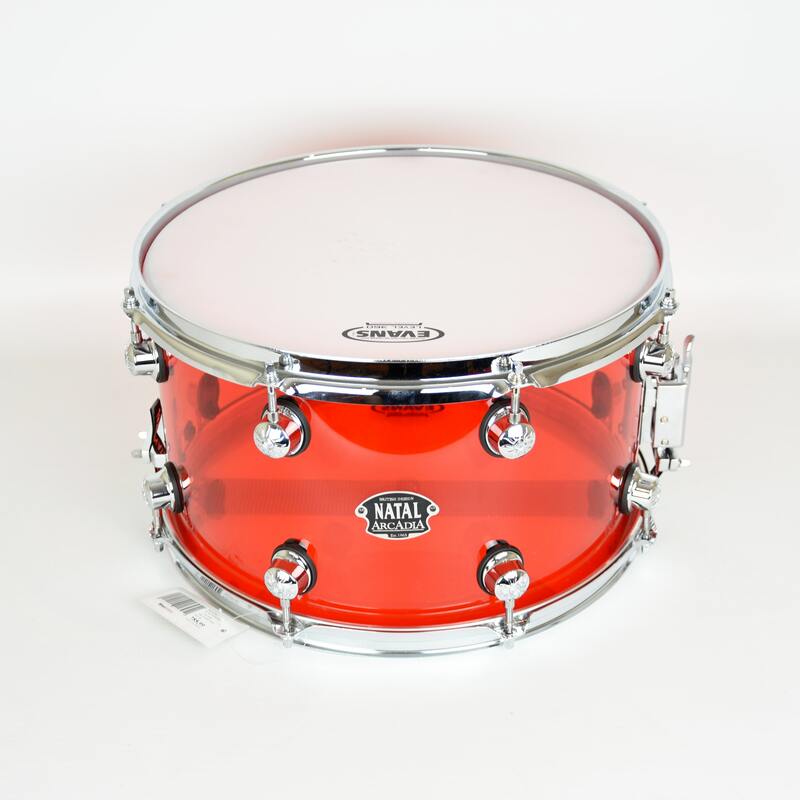 Today we are going to test a marvellous Natal Arcadia Transparent Red 14×8 Snare Drum. Let’s go! 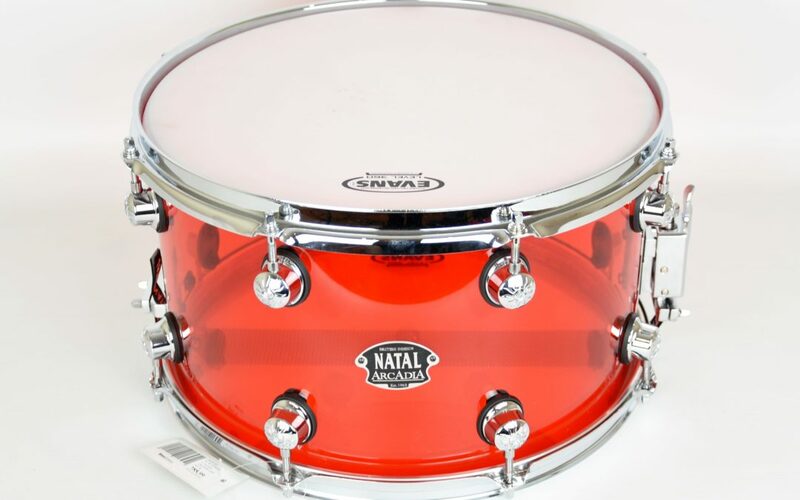 The snare drum came to us in a standard cardboard box with big Natal logo on it. After taking it out of the box we were really impressed! 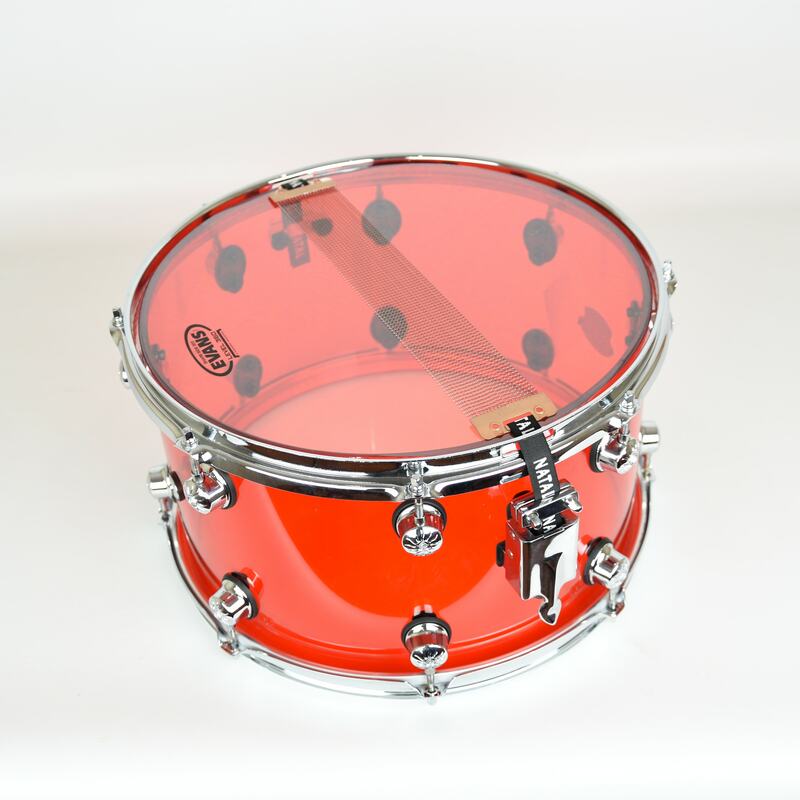 Big, red and solid acrylic shell looks like it’s ready to rock. Chrome lugs and hoops contrast with the rest in a good way. It’s definately an eye candy. 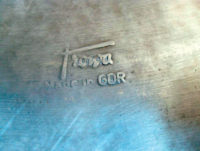 This snare is a typical rock’n’heavy tool of doom. It’s red, it’s deep and it’s extremely loud, but in a good way. It’s a 14 x 8″, 6 mm thick shell. It’s seamless. 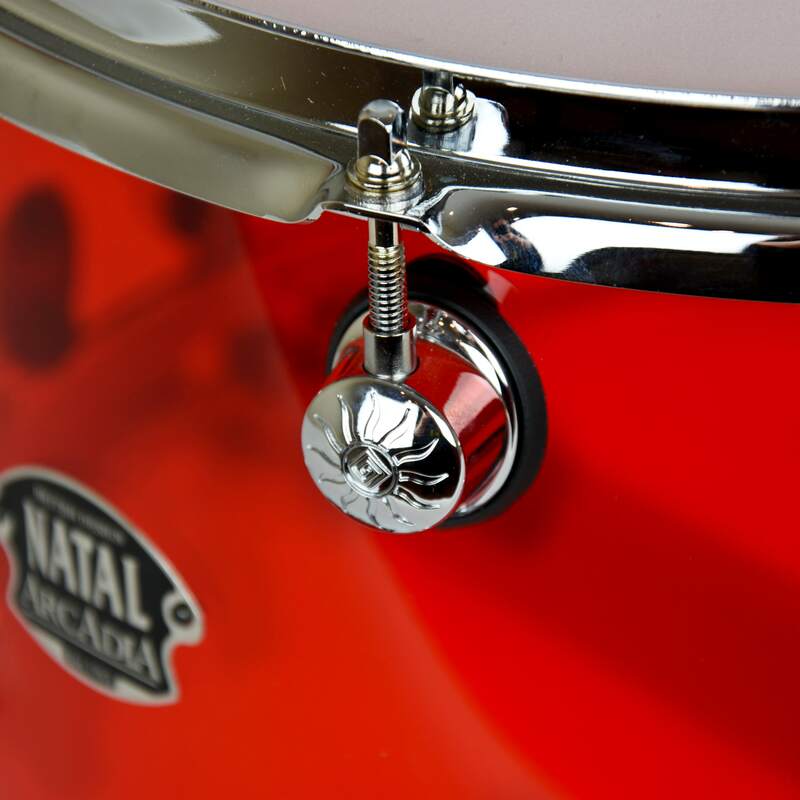 The shell is equipped with “sun logo” lugs taken from the highest series made by Natal. Strainers works perfectly and you can control your snares just how you want it. 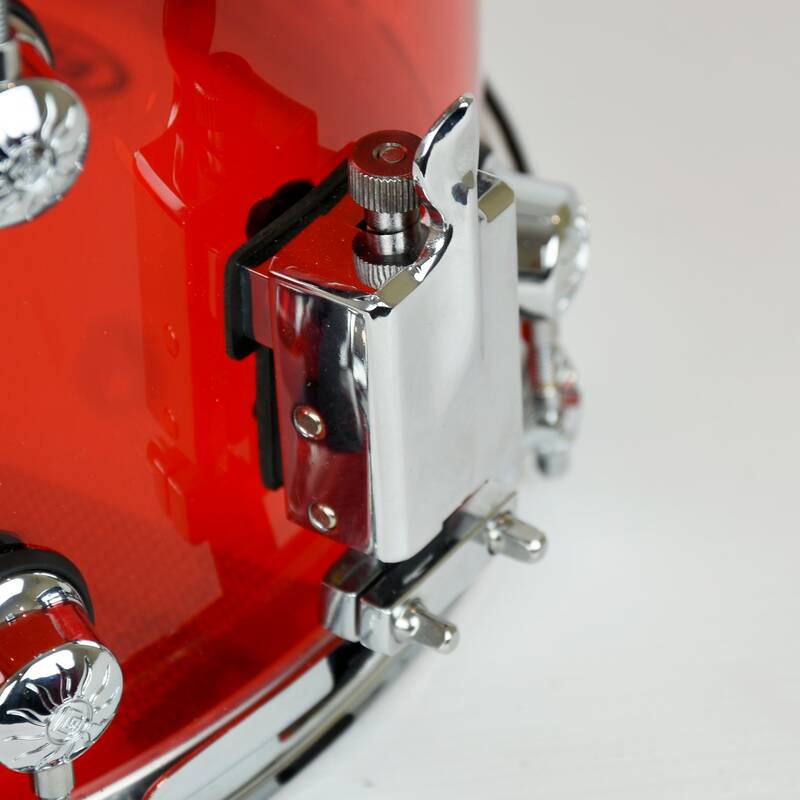 This drum has the Evans Level 360 heads already on it, so you can make a high quality noise right after unpacking it. 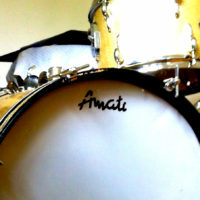 Snares on the resonant head are made by Natal. 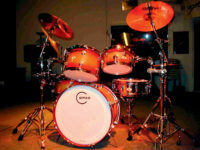 We must admit that this drum sound incredibly good when played with rimshot. You can feel the power of the size! Every kind of ghost notes are well audible. It’s a perfect instrument for people who love to rock. We have tested this drum in our production room. After tuning it to F (Batter head 240 Hz, reso head 359 Hz) we have played some paradiddles and drum patterns on it. 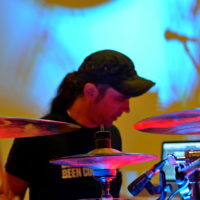 After doing this we attached the snare drum to the kit (Sonor Ascent). Deep beech toms and kick from Sonor made this snare sound even more like a rock cannon. If you like Led Zeppelin or good old Black Sabbath – tune this beauty a little lower, loose some strings and here it is: a perfect sound for these kinds of music! We want to thank DrumStore Gdynia for the possibility to give this snare drum a test drive. As we said earlier: it’s a typical, big rock snare. 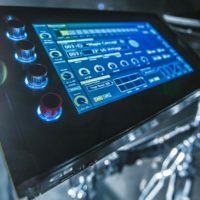 But don’t get fooled – it will fit in other genres such as funk or hi-hop. It sounds great and powerful, looks like a candy and works without any problems. Don’t hesitate to check one out!